What’s “Middle” about the Middle Class? The obvious answer to that question is that they’re the group who are neither rich nor poor but are sandwiched in between those two, a kind of stabilizing alternative to which the poor or “working class” can aspire to rise to and a safety net for those who have lost greater wealth so they need not fall all the way into poverty. We like to believe a middle class is essential to a democracy because it is they who make up the bulk of a prosperous and supposedly well-educated majority capable of making the kinds of decisions a well-ordered republic requires. But what is the purpose of such a class beyond the maintenance of a national myth of political rule by a rational majority? Other cultures speak of a bourgeoisie, or more properly a petite bourgeoisie. To Marxists the former is likely to be synonymous with “capitalists,” the class we in American associate with the upper class, the latter with our own middle class. But other societies are also more class-conscious than our own, even rigidly so. Our way of ranking our population is much less fixed, open to free movement certainly in the economic sense and to a much larger extent than other societies in the social sense too. The original idea of who deserves to be in the ruling, i.e. the bulk, of the voting class was seen in a very different way by the framers of our constitution than it is today. Back then it was exclusively free white landholding men. Today it is any citizen, rich or poor or in-between. But has the function of that voting class, mostly middle-class, changed from the one it served for Madison and Hamilton? And what is its function, if it has any beyond just a sociological and economic designation? I see historical evidence that shows the purpose of a middle class like our own is crucial to maintaining a buffer between those who hold most of the nation’s wealth and those who possess very little of it. Without such a class the so-called one percent would have to rely upon brute force to keep in line and protect themselves from the so-called lower classes. With the disintegration of our middle class we can see a tendency toward more and more oppressive rule with the militarization of the police and with incarceration on a scale not practiced by any other nation on earth – a lurch toward a new feudalism. The fact that the police and other governmental agencies obviously protect the privileges of the middle class does not mean they are not there ultimately to protect the interests of the upper class. It’s a function the middle class has performed wherever it has been constituted and allowed to prosper, not just in America. Consider the situation in the slave states of the Caribbean. Without a substantial white population to rely on to keep the large slave population in line, the ruling class had to resort to creating a middle class out of free blacks to serve as a buffer between themselves and those in chains. This is why West Indians tend to be better educated and more self-confident than our own African Americans. More than two hundred years ago Black West Indian men were already receiving the kinds of educations and professional opportunities we have not yet provided for our own descendants of slavery. Even West Indian women could become solid members of the middle class by opening shops and other small businesses. A similar effort was made in the South to form a buffer, middle class of European-Americans between landowners and African-American indentured servants after the two had repeatedly combined forces against their owners. Only, promises of freedom, land and “whiteness” made to rebellious European-Americans in exchange for their acting as police to previous comrades of African and mixed descent never fully materialized, consigning them permanently to a landless state of poverty with only their “whiteness” to console them. Even so, they remained faithful to their new “race,” protecting their previous masters’ interests as if those interests were their own. Almost a century ago Walter Lippmann published a well-thought-out book about the American political scene in which he concludes that public opinion – by which he meant the opinion of those that vote – needed to be carefully manipulated by those with the best understanding of what was best for the nation. The possibility of such manipulation, though not new, was at the time greatly enhanced by the advent of the public relations/advertising industry that had just come into its own during the Wilson WWI administration. “Manufacturing consent” has since became part and parcel of how the powerful elite have co-opted the middle class into accepting their, the elite’s, political agenda. Until recently no oppressive security force was required to effect this control as it has been in other nations. The media does the job virtually without coercion from outside, automatically. The result has been a perfect pas de deux between upper-class moneyed interests and middle-class willingness to serve their masters as long as they are themselves guaranteed a comfortable living standard and access to unlimited upward mobility. If this requires the impoverishment of one-sixth of the population who typically don’t vote in the same percentages as their betters, that’s a trade-off the guilt for which can be ameliorated by token welfare policies or simply by blaming the victims. Even a casual reading of authors of other eras than our own, especially of those we don’t place among the great contributers to Western thought, reveals how hidebound they were by the received ideas of their time. Sometimes their naivety is amusing. Our typical reaction to them is, Thank God we have gotten beyond such simplistic notions. Only, we haven’t. Our own thinking is just as constrained as theirs was, perhaps more so thanks to the influence of mass media. In America we believe we have absolute freedom to think about anything we want in any way we like and then to express those thoughts as publicly as we wish. And that’s true, but we rarely do think anything outside the framework our media and our educations invisibly draw for us. We can talk ourselves blue in the face about race or gay rights or any other issue, but we, most of us, accept the concepts of “race” and “gay” unthinkingly. Even those of us who want to go beyond the confines imposed by those words find it next to impossible to do so and still go on referring to “mixed race” or “bi-racial” children, even if we know the word race has no valid meaning and is entirely a creation of social and economic forces…. I’ve remarked more than once in print and in personal conversation that maybe our societies should be run by primatologists. I can’t remember ever getting a response to this remark. Presumably it’s taken as a joke or at least as a dismissible exaggeration. When I verbalize the idea in person it inevitably draws a blank stare. America has changed less radically in the last 80 years than has Germany, but it has changed nonetheless and in essential ways. We no longer legally discriminate. But we have not allowed those who wear our own version of the yellow star, those whose skin color makes them “black” ( a word that means different things to different people, the only common thread being ancestry from “dark-skinned” Africans), to entirely take it off. Read my essay in the current Eclectica. Let me know what you think. The longer I live on this planet the more it seems to me we’ve got it wrong about the sort of critters we really are. 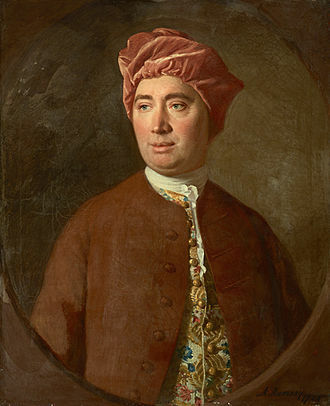 Even though we’re more or less willing to give up the idea we’re immortal spirits trapped in physical bodies — a notion David Hume saw through almost two hundred years ago — we cling to our reason and consciousness as setting us apart from the rest of creation like members of a middling caste that can at least feel superior to those below it on the social scale. I’m not even talking about the revelations (science now provides “revelations,” a function once exclusive to holy writ) that our free will is as predictable as a crossing light if you apply electrodes to the right parts of the cranium. Rather, I’m referring to mind itself, the thing we experience on a moment-by-moment basis, the thing we like to think is separate from, if not entirely free of, our feelings or emotions. Hence we speculate on the possibility of a computer achieving something like human consciousness. No one but Hollywood script writers assume cyber-consciousness would be accompanied by emotion. Mind, reason, we like to think, can function by itself given the right algorithms and sufficient chip speed. 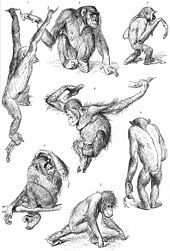 Emotion is something left over from our more primitive days before the great evolutionary leap forward that gave our prefrontal lobes command and control. It ain’t so. We are feeling animals, not thinking ones, or at least not as thinking as we like to believe we are. Other animals think. Probably all of them do. You could even say that plants think. One of mine recently outfoxed me when I tried to prevent its putting forth a powerful-smelling flower in order to reproduce itself. It got wise to my trick in the past of cutting off the shoot before it could fully bloom and stink up the room. This time it put forth the shoot hidden in the back of the plant where I didn’t notice it, and it did so entirely out of season in the autumn when the daylight was waning instead of in the spring when it had previously bloomed. And the clever little bugger almost succeeded. I smelled something but didn’t immediately recognize what it was until the shoot was almost in full flower and only then after skeptically searching through the dense leaves and discovered it sequestered deep down in the dark recesses of the plant. Tell me this isn’t intelligence, if not exactly conscious thought. I don’t know what kind of affective life that plant has, though I worry when I cut off its withered leaves. But I do know so-called animals have a very rich emotional life. Yet, we have denied animals, even cats, dogs, horses and other domestic animals, the possibility of having true feelings and have treated them more or less the way we would treat a vegetable or a stone. In the real world, though, we and they are identical in this respect, whatever our specific and superficial differences. A dog doesn’t think as I do, he thinks as a dog. But he seems to feel pretty much the same things I feel, and it’s his feelings, not his thoughts, that make him who he is, just as mine do me. My consciousness gives me the illusion of operating at a distance from my emotions, those dark, animal chemical states left over from a deep past which other species have not been able to break free of. This sense of separation between emotion and consciousness is an illusion, but it’s a powerful illusion, and it must have been given a great boost when the mutation that took place tens of thousands of years ago changed us into the sort of people we are today. It made possible art, philosophy, science and, of course, language, the latter being our distinguishing attribute, or so our wise men and women keep telling us. But just as we were wrong for so long about the mind’s being a spirit, we are just as wrong about its being the essence of what makes us human. And we are probably just as wrong about the quality of the so-called animals’ interior states. We can see this same failure on our part to recognize other species’ likeness to ourselves if we look at the way we view human civilizations that have not had the same tools for recording themselves as our own have. Unless a people has left behind a written, architectural or some other discoverable proof of their intelligent life we assume they had none, or none comparable to our own. Until a couple hundred years ago the civilizations that lay beneath the sands of Mesopotamia were mere backdrop to the high achievements we accorded ancient Greek and Hebrew cultures, firstly and especially because the Greek and Hebrew cultures form the bases for our own but also because until fairly recently we had nothing from any other that compared with the Bible or the Homeric epics. Now we know that the Bible is largely a product derived from those buried civilizations, that ancient Israel, which disappeared as a state about 750 BCE, and Judea, which only came into its own after the sixth century BCE, were, like every other culture, products of contact with the great civilizations surrounding them plus their own local contributions to those derivations. For millennia we lived without any major literary text that predated the stories in the collection of Hebrew texts we call the Bible, until in the mid-19th century the epic tale of Gilgamesh emerged from beneath the sands covering the ancient city of Nineveh. Yet, Gilgamesh, like the Book of Genesis, is itself a compilation of tales put together from material dating all the way back to the Sumerians many centuries earlier, predating either the Bible or the Iliad by a thousand years. An oral culture that dies out or is subsumed by one that either incorporates or rejects its body of oral art becomes a non-culture. In effect, it never existed. It is the literate cultures, in the West the Greek and Hebrew, that we see as the great achievers because, like us, they not only produced significant art and thought but, more importantly, they recorded themselves. 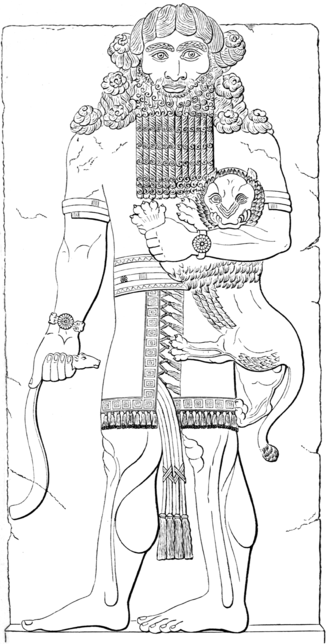 If other cultures also recorded themselves, as did the one that produced that version of Gilgamesh that lay buried for so long under the sands of Nineveh, but remained unknown or underexplored because we believed we had all the art and literature of the ancient world that mattered, they may as well have not existed at all, even if, as in the case of the Sumerians, they were seminal to all the civilizations that followed them in that part of the world. We already had the intellect of the Greeks and the revealed Truth of the ancient Jews, so why go digging in the desert to see what may or may not turn up when we had such low expectations of finding anything comparable there? Descartes should have written, “I feel, therefore I am,” but he was victim to more than two thousand years of Western hubris. And, by “feel” of course I’m talking about the very rich and complex total state which we subdivide at our peril into “consciousness,” “subconsciousness,” “emotion,” etc. 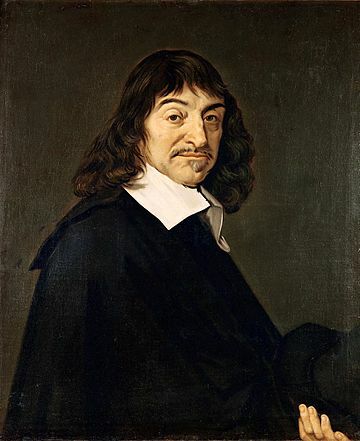 Even Descartes, when he said, “I think, therefore I am,” was really describing an experiential rather than a purely rational state. That’s why the proposition he stated seems self-evident: it’s compelling, like the experience of free will, and the experience of a compelling notion is hardly something that can be called abstract or purely rational. We exist because we experience existence. We have free will because we experience choice. In that we are not a whit different from any other creature with a brain. We just prefer to believe we are. But, then, I suppose if dogs or cats could express themselves in a way we could understand as language they would also claim preeminence over every other species.